The attraction of the picture is concentrated on it’s converging at the center feel and the reflection of light from the ceiling. 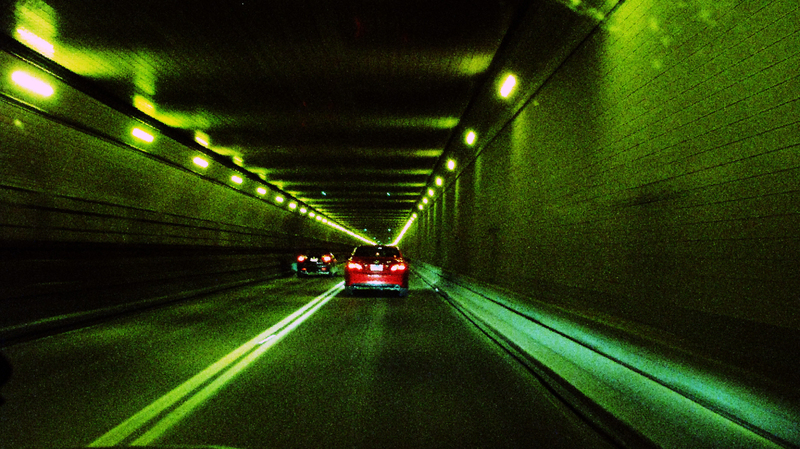 This is the 1.5 miles long Lincoln Tunnel that runs under the Hudson River and appears to be never ending. The picture is edited using Curves Preset Cross Process and Strong Contrast options. Filter/Pixelate/Crystallize option is used to give a coarse look to the picture.